The Rotary Cash Calendar is a joint project of several clubs in the Ottawa area spearheaded by the Rotary Club of West Ottawa. In addition to the funds our club receives from the sale of the calendars and puts back into the community, over $23,000 has been paid out to patrons of the calendar in our area since we began the programme six years ago. 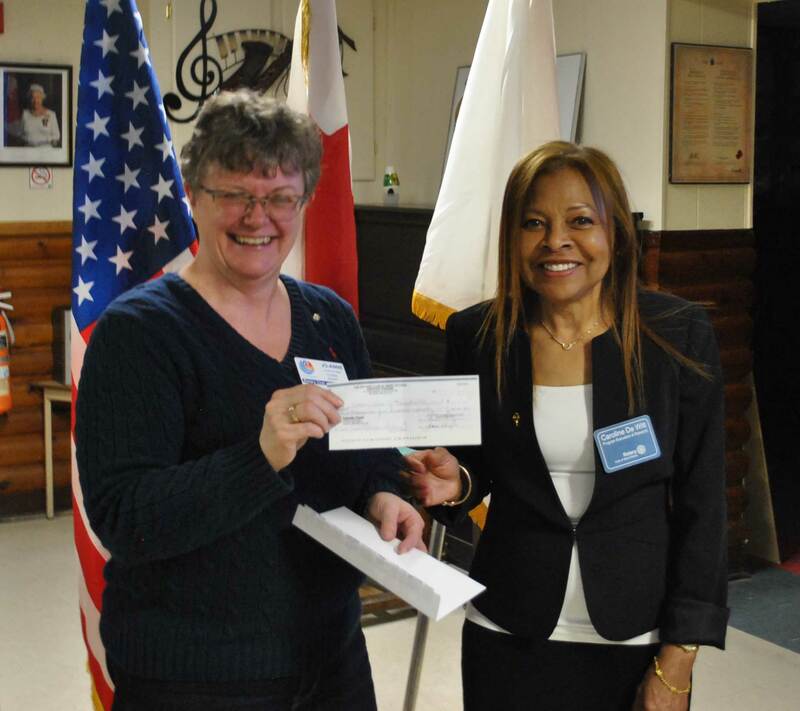 Pictured below is President Jo-Anne receiving a cheque for our sales funds from Rotarian Caroline from the Rotary Club of West Ottawa.